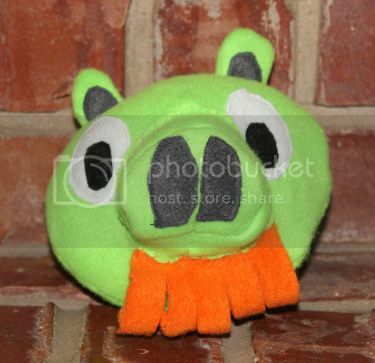 Things I will not be putting on my resume: can sew pig snout straight. Still from the tutorial at Obsessively Stitching. I photocopied it at 72% reduction (legal to letter setting) to get a slightly smaller pig. This guy is more the "right size" according to the Dude. Because evil egg-stealing pigs are a certain size. Of course.